I’ve had my fair share of dating horrors. In fact, I have told you about my spectacularly disapponting date with a guy who liked Westlife. If not, you can read about it here. Yeah, yeah, I have this annoying love affair with hyperbole. So anyhow, it’s Friday and so most people are in good spirits. I hope you are too. Well, I am. And so today I will write about something positive. Hmm. Like what? Crime rate? Upcoming national elections? The April 15 deadline for filing of taxes? Geezz, can you tell how I’m oozing with positivity right now? Let’s talk about dating, which personally is a comedy of horrors. I’m pretty sure Billy Shakespeare is turning in his grave right now for my usage of one of his famous plays. If you are hoping I would lay out for you fool-proof dating advice, you may stop reading now, though I hope you wouldn’t. Surely, you have to understand that a 29-year old spinster is in no place to dish out dating advice in any shape or form. But just because I am a self-confessed spinster and apparently unpopular with guys, doesn’t mean I am without my wishes for a perfect date. And that’s what I want to share with you today. It’s actually a tie. So I have two perfect ideas for a date. Before I tell you what they are, I’ll tell you first that when I was in my early 20s, I thought a perfect date for me would be in a museum. What could be more romantic than walking through high-ceilinged halls full of different artworks? Plus the silence of the sculptures as the dust tries to settle on the frames of paintings provides a charmed setting for a budding affair. The soft echo of your footsteps as you pretend to look at sketches would be the perfect soundtrack of your own romantic comedy. As you can see, I lived in a European romcom when I was 20. Think Amelie and The Spanish Apartment. But since I’ve been on platonic dates in a museum twice with two of my good guy friends, I’ve scrapped out the perfect museum date. So my perfect date idea #1 is at a blood-letting activity. Now before you clutch your imaginary pearls, let me explain myself. The reason why I think this is perfect is aside from you are making a contribution to the National Red Cross, this also gives you a glimpse into what kind of person your date is. 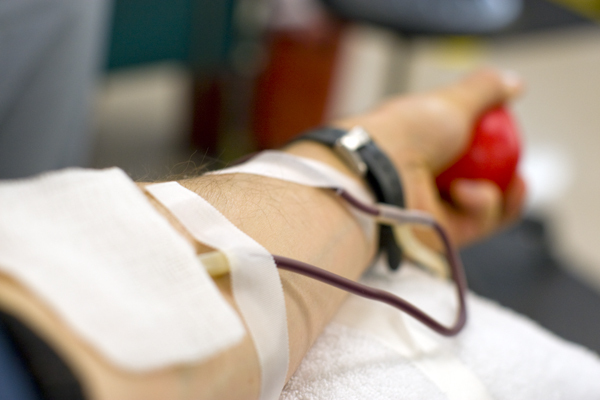 If he is willing to give blood on your first date, there are only two valid possibilities. Either he is desperate and willing to do anything and everything to get laid or he really cares about such causes as helping those who need blood. An equally important reason why this donating blood is perfect is because after you’ve given out 500cc of your own blood is that now you two have the perfect little excuse for a red meat feast or buffet. You need all the red meat for your red blood cells. So hey, win-win, right? If a worthy cause and a buffet won’t seal your bond forever, then nothing would. Perfect date idea #2 is a little picnic at night in the middle of Sunken Garden while listening to 90s and early ’00s boyband music. You could also add reading your favorite children stories and/or rhymes to the repertoire. You only need finger foods, mat, candles, iPod/phone for your music and story books. Think Nsync, Backstreet Boys and 98 Degrees. If a guy is willing to listen to crappy boyband music with you, he may be: a, someone who has terrible music just like you; b, desperately wants to sleep with you or; c, willing to forego your horrible taste in music for a shot at a meaningful relationship. So again, nothing to lose and everything to gain in this setup. PS. The children stories part is a subliminal attempt for him to think that you would one day bear his children. I am assuming you’d be down for that. No pun intended. PPS. 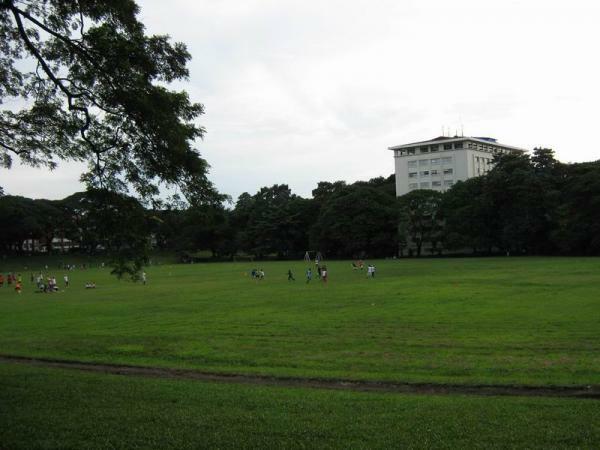 You are only allowed to stay at Sunken Garden until 10 in the evening. So anyway, since I don’t see any dates in my foreseeable future, I’ll just enjoy my Friday listening to The Dan Band’s Candy Shop. If you haven’t heard of Dan Finnerty or The Dan Band, it’s about effin time you listen to him/them now. Darn, I won’t be able to finish this test. Why am I still on the first page? What do I write on the name line? There’s something wrong with my pencil. Can I get a new one? That evil woman is giving me the eye. What in hell is that sound? Does it mean the test is over? I barely answered five items. Oh, good, it’s the alarm. Why is it dark outside? Am I late? I have to get up now or there’ll be hell to pay. I have to check my messages. What the hell are these people talking about? I’ll just read them again when I get back home. Why does my towel have frayed edges? I bought these like four months ago. Maybe I shouldn’t use this more often. And I have to remember the deo. Did I remember to put my watch back on the bag? I’ll leave the sheets as is, the bears are sleeping anyway. Why is it dark here on the stairs? I could just easily trip and break my spine. Someday these stairs are gonna kill me because no one bothers to put on lights. Stir fry veggies. Oh yes, I asked for that this morning. Not liking the smell of that one. Need coffee now. No, couch first. 16% battery? Tablet, you’ve been busy while I was asleep? Hmm. I can stay on this couch until my grandchildren’s grandchildren unearth me with the tablet and put me in a museum. I’ll be the archaeological discovery of their time. These people act like nothing happened when Hugo Chavez is dead. We’re running out of revolutionaries. When I get out of this couch and have coffee, I’ll be a reformist. I have to eat now or I’d really be late. When Fidel Castro dies, I’l wear black for a week and swear off McDonalds for a year. Then maybe move to Cuba. Mmm, these are good. Hot! Hot! Now my tongue is totally awake. I want coffee after this meal. I have to put the kettle on now. Should I have a second helping? Those kids outside surely make a riot. No respect for Hugo Chavez at all. Damn that kettle is gonna give me a heart attack. Where’s my mug? Did someone use my mug? Bastards. I love this coffee, I should marry this. Ooohh, the world is alright now. The world is gonna mourn for you, Hugo Chavez. This mug feels so right in my hands. Oh, this is my favorite. Oh I have half an hour to kill.